Created to provide helpful information about the Oklahoma Cannabis Industry. Please note; while we aim to keep this pages fully up to date with the latest information, cannabis laws are always changing. We encourage you to verify these rules and regulations in the official legal text, which we’ve linked throughout the page for your convenience. The emergency rules for SQ 788 that were approved by the Oklahoma State Board of Health and Gov. Mary Fallin are available here. Need help satisfying your cannabis business security requirements? Our partners at Helix Cannabis Security can address all of your Oklahoma cannabis security compliance requirements and beyond! Cultivators (also commonly referred to as Producers or Growers) – Cultivators are responsible for growing cannabis. A Medical Marijuana grower license allows a business to legally grow marijuana for medical purposes in Oklahoma. Licensed growers can sell to licensed processors and licensed dispensaries only. Grower licenses will be in the form for a license certificate. Licensed growers must comply with Title 63 O.S. § 420A et seq. and the Oklahoma Administrative Code (OAC) 310:681. Applications and payment will be collected at omma.ok.gov – a valid email is required for logging in. Once the application has been submitted, it will be reviewed by the OMMA – if it is deemed complete and meets all requirements, an approval letter with the ID card will be mailed within 14 days of the submission date. For a detailed list of all required documents and information, review the Commercial License Checklist prior to submitting your application online. Product Manufactures, or processors take harvested cannabis from Cultivators and create derivative extracts for edibles, concentrates, topicals, and prepacks. Finished products are transported to Retail Marijuana Stores. A medical marijuana processor license allows a business to legally process marijuana for medical purposes in Oklahoma. 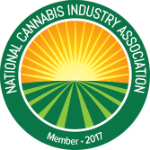 Licensed processors can sell to licensed dispensaries and other licensed processors. Licensed processors may also process marijuana into a concentrated form for a patient license holder for a fee. A medical Marijuana dispensary license allows a business to legally sell medical marijuana and medical marijuana products, including mature plants and seedlings. Licensed dispensaries in Oklahoma can only sell to patient license holders, caregiver license holders, research license holders, and the parent or legal guardian named on a minor patient’s license. Dispensary staff may validate licenses using the OMMA verification system, which will be available in early September. A medical marijuana caregiver license allows an individual designated by a patient — or a minor patient’s parent(s) or legal guardian(s) — to assist with the purchasing, application, and administration of medical marijuana. How can I obtain an Oklahoma Medical Marijuana Card? The Unity Bill HB 2612 was passed on Monday, 11th 2019 and will take 90 days to take effect. with another medical marijuana business, patient or caregiver. and reported to the Authority. f. all samples used for quality testing by a licensee. with the seed-to-sale tracking system established by the Authority. medical marijuana business for more than sixty (60) days. pursuant thereto to the entity who transferred it to the dispensary. limited to cartoon characters or similar images. violates any federal trademark law or regulation. regarding health or physical benefits to the patient. at the point of transfer to the patient or caregiver. Any other information the Department deems necessary. The monthly reporting template for all OMMA licensed growers, processors, and dispensaries is now available at the link below. Instructions for completing the monthly reports have been emailed to each commercial licensee’s primary contact as listed in the license application and are also available below. Commercial licensees are required to begin providing OMMA monthly reports for the first month they were licensed and every month thereafter, even if no medical marijuana or medical marijuana products are on site. Commercial licensees may leave the field for the OBNDD registration number blank if the registration number has not yet been granted. Once you have received your OBNDD registration number, you must include it on each monthly report from that point forward. Monthly reports are due by the fifteenth of each month for reporting of the previous month. (For instance, October’s monthly report is due by November 15.) A list of reporting deadlines is provided below. Monthly reporting templates are subject to change, so please check back to this site regularly. As stated in OAC 310:681-5-6.1(a), failure to submit a monthly report and correct this deficiency within 30 days of written notice from OMMA will result in license revocation. Please reference OAC 310:681-5-6(a) in the emergency rules for more information. All questions regarding monthly reporting should be directed to OMMACompliance@ok.gov. For the latest cannabis-related legislative updates on Oklahoma, check out our Cannabis Bill Tracker! (F) Total dollar amount of all taxes collected from sales to medical marijuana patients and caregivers. (G) Total dollar amount of all sales to processer, dispensary, and researcher licensees. (E) The amount of marijuana waste in pounds. OKLAHOMA SUCCESS STARTS WITH CONTACTING US!